How excess gas led to Toronto becoming a world leader in low-temperature physics research. Liquid helium. Photo by Alfred Leitner, 1963. Wikimedia Commons. Thanksgiving 1920 was a day Gordon Shrum later called one of the luckiest in his life. A University of Toronto physics student whose studies were interrupted by the First World War, Shrum felt he had drifted aimlessly since returning home. First came a job with a meat packer, then a teaching stint. Contemplating finishing his degree, Shrum wandered by the physics department of his alma mater that holiday. McLennan was one of the university’s leading lights. The second person to receive a Ph.D. from the institution, he had headed the physics department since 1907. In 1915, he was approached by the British Admiralty, which wanted him to determine how much helium was potentially available in Canada to fuel naval air ships. Helium was a safer alternative to explosive hydrogen, but the limited existing supply was, at up to $7,000 per cubic foot, too expensive. McLennan led a team that extracted helium from a large supply of natural gas in Alberta’s Bow River valley. His extraction plant became irrelevant after the United States entered the war in 1917 and produced enough helium to meet Britain’s needs. The price dropped as low as 11 cents per cubic foot. Experimental helium column. Journal of the Chemical Society, Transactions, 1920. 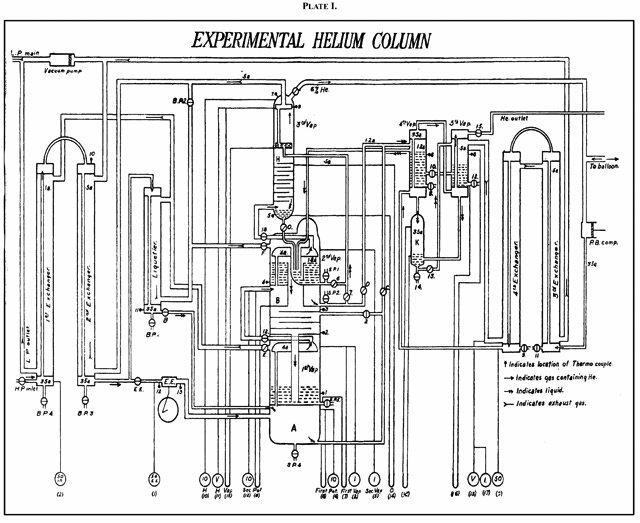 After two failed attempts, McLennan’s team successfully liquefied helium on January 10, 1923. The story was front-page news in the following morning’s edition of the Globe. McLennan told the paper that the extreme low temperature of the liquid helium allowed certain metals to become perfect electrical conductors. With this breakthrough, he believed his lab could tackle some of the era’s problems with refrigeration. 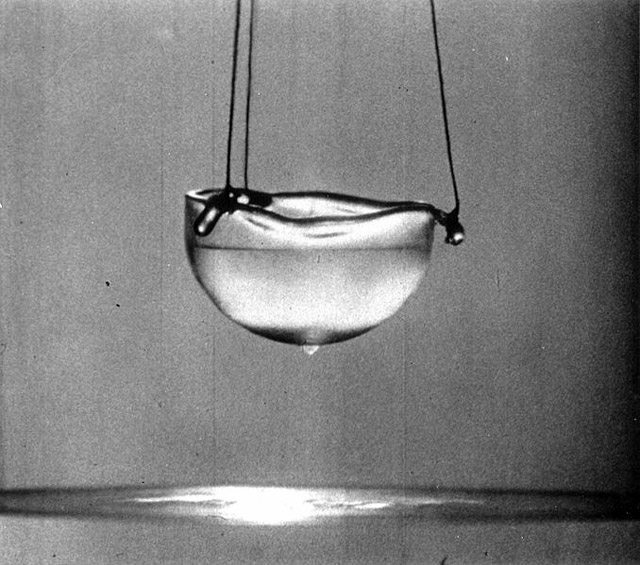 McLennan demonstrated the liquefying process to the public and the school’s board of directors two weeks later, which resulted in the following Globe headline: “STAND IN WONDER AS LOCAL WIZARD LIQUEFIES HELIUM.” “We can now study the properties of bodies under the lowest possible temperature,” McLennan reportedly said. When asked about the commercial value of helium in general, McLennan observed that at the moment its most practical use was filling balloons, but that it might eventually be ideal for transformer signal lamps and enclosing automatic switches. Over the next decade, Toronto became a world leader in low-temperature research and superconductors. McLennan rose to dean of the School of Graduate Studies in 1930, but quit within two years after his proposal to centralize research under his control was rejected. He moved to England and worked on the use of radiation in cancer treatment. McLennan received many awards for his work, culminating in a knighthood shortly before his death in 1935. He became the namesake of U of T’s McLennan Physical Laboratories. As for the student whose life he changed in 1920? Shrum went on to become the head of physics at the University of British Columbia, then served as the first chancellor of Simon Fraser University. Additional material from Ideas in Exile: A History of Canadian Invention by J.J. Brown (Toronto: McClelland & Stewart, 1967), The University of Toronto: A History by Martin L. Friedland (Toronto: U of T Press, 2002), Gordon Shrum: An Autobiography by Gordon Shrum with Peter Stursberg (Vancouver: University of British Columbia Press, 1986), and the January 11, 1923 and January 25, 1923 editions of the Globe.